Bro. 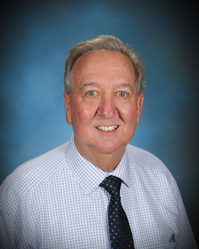 Dean teaches Bible at NBS and serves as the president of the school board. He has been pastor of Highland Baptist Church in West Monroe since 1991. He graduated from high school in Baton Rouge and college at Louisiana College. He graduated from seminary at Southwestern Baptist Theological Seminary in Fort Worth, Texas. He came to Highland after serving almost fifteen years as pastor of Calvary Baptist Church in Rapid City, South Dakota. Bro. Dean is married to Ginger, and has 2 adult children and 2 grandchildren. Bro. Skip is the author of Bible Digest by G.E. Dean, a series of daily comments on the scripture which appear in newspapers across the United States and abroad.